Our Diabetic Life: The deep-down-to-my-soul ugly truth. I always try to be totally honest. I mean, is there any other way to find healing? Blogging helps me get to the heart of what I feel deep inside. Only good can come from that...I hope. I begin typing today with no map on where I am going. Only the realization that everything is making me cry these days. Statuses on facebook. Blogs. Videos. If it references diabetes, inevitably...the tears come. They aren't harsh tears. They are soft, they are real, and they are all the time. It is my goal today to get to the heart of that. I've been asking myself, why? Why am I getting so upset, so easily. But sitting here in this moment, I think I've been asking that to myself all wrong. I think a better question is, why am I touched so easily by what I read? Why does it hurt today more than any other measure of time before? Maybe because the boys basals are still a bit wonky. When things are not smooth sailing the reality of this disease bleeds into my emotions. But I think there is more to it. My boys are growing at an unbelievable rate. They are changing, and with those changes come memories of how things used to be. Remember when? I think it bothers me that our family doesn't have a "remember when there was no diabetes." It feels like it has been around since forever. We had only started our family when J was diagnosed. He was a baby. And now he is a teenager, and before I know it he will be gone, and married, and starting a family of his own. Which brings me to something that is making me sob as I type. 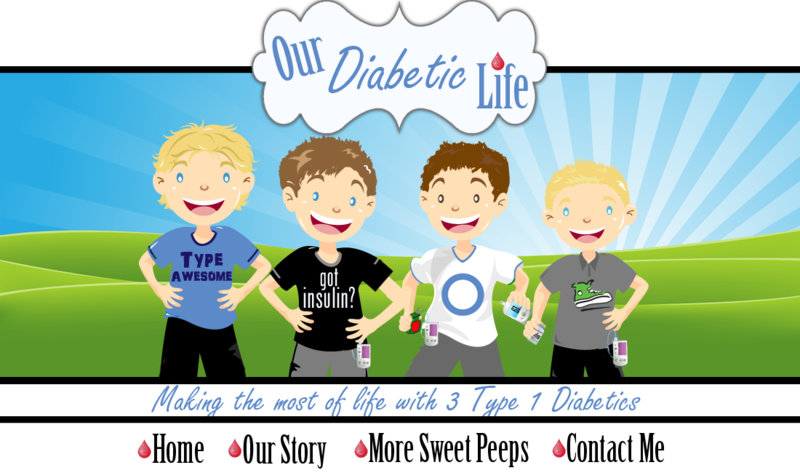 I read on the ADA website, that the chances of my boys having a child with Type 1 Diabetes is 1 in 17. That is doubled if they are diagnosed before the age of 11. All my boys were diagnosed before the age of 11. In fact, all of them were diagnosed before the age of 6. The thought that more people that I love will have to live with this disease infuriates me. I take my lot happily. I have no complaints that there are 2am checks and countless set changes and phone calls from school. But would I ever...ever...wish this worry on one of my boys? Never. They have enough worry as it is. They all want big families. They talk about it all the time, and more than anything I want that for them. I would never tell them not to, or even insinuate they shouldn't. I had them, and I am so so thankful I did. Would I have them again if I knew what I know now. You bet your mySentry I would! I just wish it wasn't a never ending cycle. I wish they could achieve their greatest dreams without heartache. But in writing this I realize that everyone has their heartache. Diabetes or otherwise. Who am I to wish that they have only happiness in their life? I don't think perfect lives exist...and I truly believe that without knowing sadness, we cannot know joy. I want them to know a lot of joy. Honestly though, one in seven sounds so nasty. It really is less than a 12% chance. That is an 88% chance that their children won't have Type 1. Man I hate percentages. They are useless. You just never know where you are going to fall. I guess the reason it upsets me so much, is they already have enough to battle. What else is life going to throw at them? I can't bear to think about it. Well there it is. Depressing, deep down to my soul thoughts, all wrapped up in a not so neat bow. I would like Type 1 Diabetes to end here thankyouverymuch. In fact, I think I'm ready for a cure now. Don't shoot the messenger...you know you wish for it too. Amen Meri! Thanks for sharing your emotions and thoughts. After attending a JDRF meeting last week and hearing the latest research, statistics, etc, I want that cure now too. I admit it! Not just for Natalie, but to prevent her brother from getting it, and YES to prevent any future generations from being diagnosed as well. It's not just for our kids, its for our grandchildren, and great grandchildren. I worry about it too... Elise has been saying she wants lots of kids. 8 girls and 8 boys (man, I love her enthusiasm). She's even asked if she could have Mattias's crib when were done with it, so her kids can use it. It makes me smile, but then I wonder if having babies will be easy for her? Will her kids have it? These are things we shouldn't have to worry about when our child is 4 years old. Oh Meri, I am so glad you posted this. It breaks my heart to think of you going through this. Please know you arent the only one dreading this future for our children. With Brian being Type 1 and Joshua being dx before he was 1 we are worried for him as well. Then there is the what if... we have thought about having more children but the fear alone is enough to stop us. I love you and your blog. I get so much for you. You are brave, courgaous and beautiful. Your children are lucky to have you. It is so hard to dream about tomorrow when tomorrow could be a nightmare. I am sorry you feel down. My son's numbers are crazy now too. One day he is 38 at 9 am. The next day he is 248 at 9 am. Which is it? Too much? Too little? He is in grad school and his thinking gets fuzzy because of blood sugars. IT IS NOT FAIR!!! Will they ever cure it? I've wondered if they even want to since it is a real money maker. Nothing has been cured in the full sense of the word since polio. I do think a doctor by the name of Faustman is on the right track. She lost her funding when she did not use stem cells. Google her. She seems to bring hope. Meri I have wanted to ask you how J was diagnosed at such a young age? I have two boys and they both have type 1 diabetes and I am expecting another little boy in 6 weeks. It worries me to think I might not be able to tell if he has it too when he is that young. My boys were both diagnosed right before their 4th birthdays, my oldest is 7 my younger 4. I am still relatively new to type one diabetes, it has been three years which actually seems like forever. I really enjoy your blog because it helps me deal with things and learn new things. I had a cousin tell me before that you can cure it with a raw food diet but then I found it was type 2 she was really talking about. But today I came across a video from the green smoothie girl talking with a man who regulates his type one diabetes with a raw food diet. They say he is cured but of course when he gets sick he has to take insulin to help regulate. I bring this up because I wanted your opinion, do you think that I am a bad parent if i don't want to try that with my kids? I mean I guess I do and I don't but I don't think I could get my kids to do it for one day let alone at least 30to see if it worked. I also don't like feeling hope when it is something that isn't really an option for me or won't necessarily work. Anyway I was just thinking about that today and then I read your blog post for today so I thought I would bring it up. The website that has the video is www.greensmoothiegirl.com, you need to scroll down and look at the left column. I have met this woman I think she can be extreme with some things but it makes me think/hope. I hope bringing this up doesn't hurt you or make you cry. 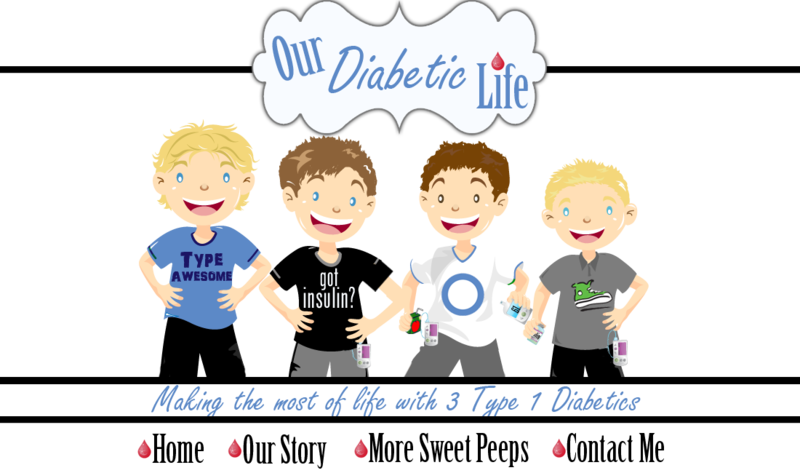 I know what it is like to think about the future for our type one diabetics. I too have looked into the research of that Dr.Faustman in Boston and hope and pray she gets the funding she needs. My endocrinologist is where i heard about her because he is always giving us information on new things or updates on progress with anything to do with type one diabetes. I think I asked him once about a whole food diet to help but I can't really remember what he said about it because it was such a long time ago. Please know that I really appreciate your blog and the time and effort yo put into it :) Thank you! Green smoothies can not cure Type 1 Diabetes. Please don't think that was ever an option. Can a different diet make diabetes easier to manage? No...diabetes will be hard no matter what. 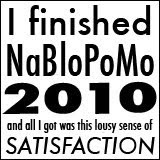 Can it make numbers smoother? Sure. Diet and exercise is a great tool for anyone. But the fact remains that your children's pancreases do not make insulin any more. Period. No magic pill, or flax seed, or moss off a tree will change that. All we can do is our best. Love our best. Hope our best. TRY our best. Your children should eat the same healthy diet that all children should eat. (I personally believe that means the occasional ice cream and treats for sure!) Keeping everything in balance is the best thing for our children. Don't let anyone fool you into feeling like you are letting your child down by not trying a risky smoothie. I have friends on every end of the spectrum with regards to how they feed their children. Some are raw only. Some are vegan. Some say anything goes. Every family has the right to choose, yes. But there is no cure for Type 1 Diabetes. I promise you that. Getting off insulin is not an option for your children. I urge you to speak to your endo. He or she can explain it all so much better than I! I haven't given up hope for the future. I have hope in Dr. Faustman, in the Diabetes Research Institute, in JDRF and all the other entities out there working hard for a cure. I believe it can happen. IF it will? I guess that isn't for me to know right now. When J was diagnosed it was the same as other children. A lot of peeing, a lot of drinking...diapers falling off...diaper rashes...thrush...and finally sweet breath. He was 8 months old. I pray you can find peace as this new baby is born. I pray that you will be able to enjoy the sweet baby without the constant worry of diabetes in the back of your head. My hearts breaks right along with you. I will forever get up during the night, but that is the last thing in the world that I would wish on Matthew. Yes, the heartbreak is always with me. oh meri, thanks as always for your honesty. within a few months of L being diagnosed, she told me that if she ever wanted to have kids, she was just going to adopt them, because she didn't want them to have to go through what she does (with diabetes). it was heartbreaking to think my 9 yo even had to consider such things. i told her she could make whatever decision she wanted to when she was older and ready to start a family and i would be behind her 100%. we haven't talked about it since then. like with most things, i follow her lead. sending hugs to you across country. Thanks, as always, for spilling your guts and putting yourself out there! I think about her future. I dream of her future. But I NEVER thought about this. Truth. It's like I've been living in a force field...with an imaginary sense of security. Believing that, somehow, we will carry this burden now -- raise her up strong, and then never have to poke a child's finger again. In a million years, I haven't ever imagined that fate would repeat itself with her babies. I have thought about her ability to grow her own baby. T1 aside, celiac increases the rate of infertility, and now one of her thyroid antibodies are positive as well. That has always sat in the back of my mind...but I seriously NEVER considered seriously that T1 could happen to one of her children until I read those worthless stats. Stop the cycle. Someone stop it NOW! Same thoughts about her children. :( And I also have wondered why I so easily get teary eyed about diabetes related stories/comments, etc. It is always the dxd stories that really get me. Unlike you, I have not fully explored those feelings but have kept them at arms length. Once again- You are our brave hero, Meri! Yes! My eldest boy always talks about "when I have kids" and my youngest daughter does, too, like any good little mommy-to-be. What do I do?! I just smile and say "you bet." but inside I am worrying, just like you. I always say that I am the only one who had any choice in being here (by marrying a type 1 and choosing to have 3 kids)but they had no choice in the matter. I don't want to take away any more from them than has been taken already. So my main goal is to show them that, while it's a hard road, parent or child, it is not an impossible one. With hope and grace it can be lived well. That is all I ask for their future.